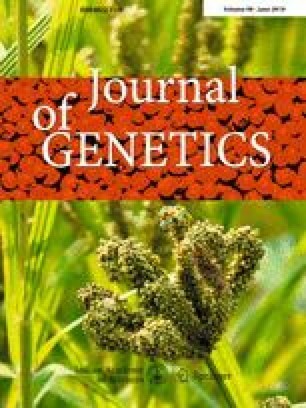 Evaluation of sequence variations in the internal transcribed spacer (ITS) region of 19 accessions, comprising of 11 accessions of Chenopodium quinoa, eight accessions of Chenopodium album and 165 retrieved sequences of different species of Chenopodium belonging to subfamily Chenopodioideae revealed a higher intraspecific genetic diversity in Himalayan C. album than that in C. quinoa. ITS and amplified fragment-length profiles of the accessions suggest the existence of accessions of Himalayan C. album as heteromorphs of the same species rather than a heterogenous assemblage of taxa. While the evolutionary relationship reconstructed from variations in 184 sequences of ITS region from species belonging to Chenopodiaceae, Amaranthaceae, Polygonaceae and Nelumbonaceae established a paraphyletic evolution of family Chenopodiaceae, it also revealed a monophyletic evolution of Chenopodieae I. The reconstruction also established five independent lineages of the subfamily Chenopodioideae with C. album as a sister clade of C. quinoa within the tribe Chenopodieae I. The results also indicate a much younger age for Himalayan chenopods (C. album) than the reported crown age of Chenopodieae I. The online version of this article ( https://doi.org/10.1007/s12041-019-1079-0) contains supplementary material, which is available to authorized users.